A masterclass from the maestro.Roger has won against the lefty serve and volley specialist from Spain Faliciano Lopez in straight sets. Lopez was a tricky opponent. Typical lefthander's heavy serve, solid ground strokes on both flank, deep slices and solid volleys. But the master was in the mood. When he is in this kind of mood it is difficult for any opponent. In the second set Roger's first serve percentage was 34 percent. But the greatest second serve in the history of the game came to his rescue time and again. In the third set also first serve percentage was poor. Roger was serving 3- 1 up. Suddenly he got broken at love. Lopez was playing some mervellous tennis. Roger's legion of fans had their heart in mouth. But Federer held firm. When the commentator says : are you kidding me, it is ridiculous you know the magician is on song. Federer won the third set at 7- 5. My nerve has settled down for now. Although cyberspace may have been declared the fifth domain of warfare by the U.S. Department of Defense, many wonder if the concepts of warfare applies to this domain. Is the domain somehow different from the others? Can states achieve new political outcomes by the clever use of cyberspace alone? Can the threat of actions taken through cyberspace alone deter warfare? At first, some analysts, such as Richard Clarke in his 2011 book on cyberspace, Cyber War, posited that cyberspace would be definitive – that end states, or the final stage of a military operation, could be achieved through the clever manipulation of computer systems alone. Later, that view was contrasted by analysts such as Thomas Rid in his 2012 piece in Foreign Policy, entitled “Think Again: Cyberwar,” in which he argued that cyberspace might have little ability to achieve new end states at all and might merely pose nuisances for states in their quest to change the status quo. I argue that cyberspace as a domain of warfare is neither a definitive nor insignificant domain – it will neither win wars alone or be utterly useless during conflict. Thus, cyberspace ought not to be viewed as a decisive, separate, unique, or meaningless domain, but instead as one domain working in tandem with the others through which power is exercised to pursue an end state. China may be an even bigger economic deal than we thought. Almost everyone knows that, in the past three decades, China has gone from a huge and poor nation to the world’s biggest exporter and second-largest economy. Now, in a new report, two economists claim that China’s emergence explains a lot more. Specifically, they say it fostered three major global trends: low interest rates (which also prop up stock prices); weak or declining wages for workers; and growing economic inequality. The central cause of these massive side effects is population change, contend Charles Goodhartof the London School of Economics and Manoj Pradhan, formerly of Morgan Stanley. The infusion of hundreds of millions of Chinese workers into the world economy weakened global wages and created a glut of global savings. Lagging wages worsened inequality; surplus savings depressed interest rates. In 1990, what we called the “world economy” consisted mostly of industrialized countries, including the United States, Western Europe and some wealthy Asian nations. Their working-age population (20-64) totaled 685 million women and men; by 2014, it had grown 11 percent to 763 million. China and the former Soviet bloc countries of Eastern Europe essentially isolated themselves from this global system. No more. Between 1990 and 2014, their massive “integration” with the wider world economy added 1.12 billion workers to the global workforce. Excerpts from Swarajya’s interview with Bharat Karnad, in which he speaks at length about India’s equations with China and Pakistan; Jawaharlal Nehru; Narendra Modi, and why India is not a great power. Political discourse in India has become highly polarised. The sharp division of ideas in the country has caused a radical reduction in nuanced thought. This is where Bharat Karnad stands out. He is a research professor at the Centre for Policy Research and a national security expert. He was a member of the first National Security Advisory Board of the National Security Council. He had also served as an adviser on defence expenditure for the tenth Finance Commission, and has authored many books on national security. This combination of a true-blue researcher with a strategic mindset and forthright demeanour led to one of Swarajya’s contributing editors dubbing him “21st Century India’s Kautilya”. Swarajya sat down with Karnad to get his take on India’s strategic resolve, the “great power” status, the civil services, arms manufacturing, Nehru, China, Prime Minister Modi and, of course, Pakistan to get a nuanced understanding of India’s potential, its weaknesses and the methods the country can take to correct its course as it embarks on the path to becoming a “great power”. Last year, Modi remarked that the people of Gilgit had thanked him. Now it’s time to reach out to them. On August 8 an activist from Gilgit-Baltistan, Hasnain Ramal, was arrested under the anti-terrorism act. He had been raising his voice against Pakistan, agitating for the state to grant political and economic rights to the people of Gilgit-Baltistan as per the United Nations Commission for India and Pakistan (UNCIP) resolutions on Kashmir. Ramal’s arrest is part of a strong crackdown Pakistan is systematically carrying out on Gilgit-Baltistan’s peaceful activists. Besides Ramal, activists including Baba Jan, Iftikhar, Dee Jay Mathal, Qayum Balawar, Safdar Ali, Mehbob Advocate, Sannaullah, Quwat Khan, Inayat Karim and Majidullah have been put behind bars. Last year, authorities picked up several activists, accusing them of working for Indian intelligence to destabilize the China-Pakistan Economic Corridor (CPEC). The Pakistani Army paints India as detrimental to the CPEC, which was announced in 2015. Earlier this year, the government said it had deployed 15,000 troops, part of the Special Security Division (SSD) which is headquartered in Gilgit-Baltistan, to protect CPEC projects. 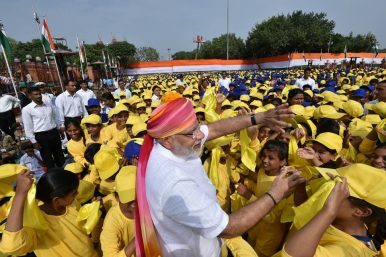 Indian Prime Minister Narendra Modi’s mention of supporting voices from Balochistan and Gilgit during his 2016 Independence Day speech was seen as a strong signal of his deliberate shifting of Indian foreign policy. Indian Space Research Organisation (ISRO) will launch its first private sector-built navigation satellite IRNSS-1H from the Satish Dhawan Space Centre at Sriharikota on Thursday at 7 PM. As per the reports, the launch of IRNSS-1H necessitated following the malfunction of one of NAVIC’s seven satellites IRNSS 1A as its rubidium atomic clocks failed. The atomic clocks are important to provide the accurate positional data. The IRNSS-1H was built by a consortium led by Bengaluru-based Alpha Design Technologies under the supervision of a team consists of 70 scientists from ISRO. The Indian Regional Navigation Satellite System (IRNSS) is an independent regional navigation satellite system developed by India on par with U.S.-based GPS. ISRO had launched seven satellites – IRNSS-1G on April 28, 2016, IRNSS-1F (March 10, 2016), IRNSS-1E (January 20, 2016), IRNSS-1D (March 28, 2015), IRNSS-1C (October 16, 2014), IRNSS-1B (April 4, 2014) and IRNSS-1A on July 1, 2013. According to ISRO officials, the total cost of all the seven satellites was ₹1,420 crore. Sino-Indian Ties: The dispute on the eastern frontier. The Chinese have never been quite explicit on how much of Arunachal they seek. Recently I saw an official map displayed in a travel agents office in Lhasa that showed only the Tawang tract as Chinese territory. In other maps they have their border running along the foothills, which means all of Arunachal. The Chinese have based their specific claim on the territory on the premise that Tawang was administered from Lhasa, and the contiguous areas owed allegiance to the Dalai Lama, the spiritual and temporal ruler of Tibet. Then the Chinese must also consider this. Sikkim till into the 19th century a vassal of Tibet and Darjeeling was forcibly taken from it by the British! By extending this logic could they realistically stake a claim for Sikkim and Darjeeling? Of course not. It would be preposterous. History has moved on. The times have changed. For the 21st century to be stable 20th century borders must be stable, whatever be our yearnings. At the crux of this issue is the larger question of the national identities of the two nations and when and how they evolved. The Imperial India of the Mughals spanned from Afghanistan to Bengal but did not go very much below the Godavari in the South. The Imperial India of the British incorporated all of today’s India, Pakistan and Bangladesh, but had no Afghanistan, not for want of trying. It was the British who for the first time brought Assam into Imperial India in 1826 when they defeated Burma and formalized the annexation with the treaty of Yandabo. It was only in 1886 that the British first forayed out of the Brahmaputra valley when they sent out a punitive expedition into the Lohit valley in pursuit of marauding tribesmen who began raiding the new tea gardens. Apparently the area was neither under Chinese or Tibetan control for there were no protests either from the Dalai Lama or the Chinese Amban in Lhasa. Soon the British stayed put. Accustomed as we are to shrill hyperbole in India's public discourse, the description of the tense Himalayan face-off as the "incident at Doklam" and its denouement as "expeditious disengagement of border personnel" by the Ministry of External Affairs came across as refreshing examples of phlegmatic understatement. The diplomatic finesse shown by India stood in stark contrast to the Chinese spokesperson's somewhat gauche declaration that India had "pulled back all the trespassing personnel and equipment". 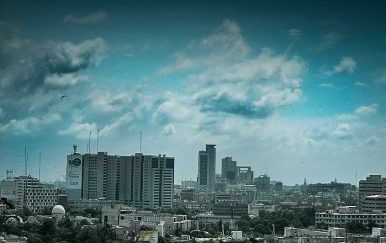 The collection of animal hides is a political issue in Karachi. Recently the government of Sindh, one of the provinces of Pakistan, has banned the collection of animal hides after the Id-ul-Adha festival. This order may be a political tool shaped to hurt a particular party. Each year millions of animal are slaughtered in Pakistan during the Id-ul-Adha festival (“Id” is also spelled as “Eid” and “Adha” as “Azha”). This major religious event, celebrated by followers of Islam across the globe, commemorates Abraham’s sacrifice for God. The Pakistan Tanners Association estimate that in 2016 more than 10 million animals – cows, bulls, goats, sheep and even some camels – were killed in Pakistan for the occasion. While the meat is consumed, shared and gifted, there is one thing that remains after the hecatomb: the animal skins. And this is where politics steps in–at least in the city of Karachi. Possibly as early as the 1940s, some people in Karachi came to the conclusion that a few hides left from the slaughter are usually useless for the household that had ordered the animals but, if collected from a number of houses, they could be sold for considerable profit. The idea was likely spread by Islamic charity foundations that would send volunteers to visit each house, asking people to donate the hides. The money obtained from their selling could then be utilized to expand the activities of the charities. Yet, as always, various people got wind of this process and used the idea for their own benefits. When the American author James A. Michener went to Afghanistan to research his work of historical fiction, “Caravans,” it was 1955 and there were barely any roads in the country. Yet there were already Americans and Russians there, jockeying for influence. Later, the book’s Afghan protagonist would tell an American diplomat that one day both America and Russia would invade Afghanistan, and that both would come to regret it. Michener’s foresight was uncanny, but perhaps that is not terribly surprising. Afghanistan has long been called the “graveyard of empires” - for so long that it is unclear who coined that disputable term. In truth, no great empires perished solely because of Afghanistan. Perhaps a better way to put it is that Afghanistan is the battleground of empires. Even without easily accessible resources, the country has still been blessed - or cursed, more likely - with a geopolitical position that has repeatedly put it in someone or other’s way. In the 19th century there was the Great Game, when the British and Russian empires faced off across its forbidding deserts and mountain ranges. At the end of the 20th century it was the Cold War, when the Soviet and American rivalry played out here in a bitter guerrilla conflict. And in this century, it is the War on Terror, against a constantly shifting Taliban insurgency, with President Trump promising a renewed military commitment. Should India re-evaluate its Afghanistan strategy? Does this “new direction” in the United States Afghan strategy mean that India should start to re-evaluate its approach on Afghanistan and take a more active role? A new plan for Afghanistan enunciated by President Trump on Monday, calls for additional US forces, greater NATO participation and regional pressure. Echoing previous administrations approach to Afghanistan, the new strategy would be more aggressive and condition-based to determine when US forces would withdraw. Less expectedly the strategy also demands India provide more economic aid to Afghanistan. Does this “new direction” in the United States Afghan strategy mean that India should start to re-evaluate its approach on Afghanistan and take a more active role? Over a decade of US-led war in Afghanistan has failed to defeat the Taliban, eliminate Al Qaida, or create an effective state. As foreign troops have drawn down the Taliban have made large territorial gains, Afghan security forces have suffered unsustainable losses, political divisions have widened, and Islamic State are establishing a presence. The United States and India’s share an interest in a stable, democratic Afghanistan that would prevent the rise of the Taliban has evolved into substantive cooperation in several dimensions in the recent past. The United States-India-Afghanistan trilateral talks started up again, on the sidelines of the United Nations General Assembly session in September 2016 to discuss counter-terror measures, reflects India’s interests in the Afghanistan. On Wednesday, the Chinese People’s Liberation Army Rocket Force (PLARF) carried out a flight test of a Dong Feng 4 (DF-4; known by the United States as the CSS-3) intercontinental-range ballistic missile, a U.S. government source with knowledge of China’s strategic weapons programs told The Diplomat. The test was carried out from the Taiyuan Satellite Launch Center, a common satellite and ballistic missile launch site, which is also known by the U.S. intelligence community as the Wuzhai Missile and Space Test Centre. The site is in China’s Shanxi province. The test of a DF-4 is notable since the missile is China’s oldest intercontinental-range system, with an estimated range of 5,500 to 7,000 kilometers — insufficient to strike targets in the continental United States apart from Alaska. The missile is a two-stage, liquid propellant missile that was first deployed in the mid-1970s. Today, few DF-4s are thought to be deployed, with the PLARF primarily relying on the DF-5 for intercontinental-range targeting. It’s unclear if Wednesday’s launch featured a DF-4 based in a silo or in the more usual rollout launch configuration, where the missile would exit a hardened basing site before being erected, fueled, and launched. The West has built a lot of myths about China which others, including in India, have accepted without challenge. That China was for centuries the dominant power in Asia and is now on the way to recovering that lost status is one such myth. 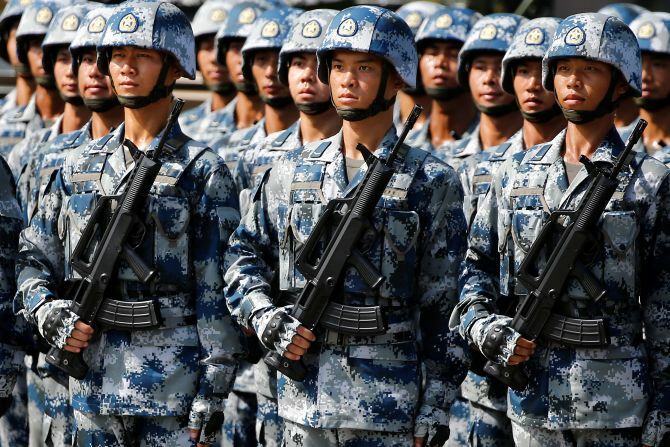 This historical distortion is serving to legitimize China's hegemonic ambitions, as if China has the right to recover its natural position in Asia and any resistance amounts to denying the Chinese their due. This explains why even when China is aggressive and expansionist, it gets away by projecting itself as a victim of encroachment on its rights by others. The question is never asked as to how China dominated India, the second largest Asian country that has always been comparable in terms of the depth of civilization, demography as well as geography. Did China ever dominate India politically, economically, militarily or otherwise? If this was never the case, how was China the dominant power in Asia? India is as much a part of Asia as China, although even now in Western circles, 'Asian' in popular parlance excludes those from the Indian subcontinent and refers only to countries east of India. The purpose of this report is to develop a baseline analysis of innovation in China by systematically examining national trends in China while placing the country in comparative perspective. The report presents data on innovation inputs, such as finance, as well as several types of innovation outputs, such as intellectual property and commercial performance. This study relies primarily on broad quantitative measures because they facilitate measuring trends over time and engaging in cross-national comparison. The numerical data are supplemented by interviews with business executives, industry analysts, investors, and government officials in the United States and in China. Broadly speaking, whether one looks at China in isolation or puts the country in comparative perspective, China’s innovation performance has gradually improved over the last decade along a number of indicators, separating China from other major emerging economies. Yet China still has a substantial distance to travel before it approaches the level of innovation found in the world’s most advanced economies. Most importantly, the level of inputs China is mobilizing is not consistently and smoothly translating into successful technology innovation outputs. This low “metabolism” of inputs into successful high-tech advancement is why we characterize China as a “fat” high-tech dragon. Two, domestic constituencies and the rise of multi-polarity has made it tougher for bigger powers to bully smaller neighbours. But first the Chinese miscalculations. One, Beijing did not expect India to cross the line and come to Bhutan's aid when it became apparent that the PLA was trying to alter the status quo. Can political Islam make it in the modern world? “DEAD, dying or detained.” That is how a member of the Muslim Brotherhood in Egypt describes the state of his comrades in what was once the world’s pre-eminent Islamist movement. After the Arab spring of 2011 the Brotherhood won Egypt’s first free elections; by early 2012 it ruled the country. But the army, led by Abdel-Fattah al-Sisi and backed by mass protests, soon booted it from power. Four years ago this month Mr Sisi, now the president, crushed the movement in Rabaa al-Adawiya square (pictured). Today those not dead or in jail have fled or hidden. Yet the Brotherhood, a transnational movement that has spawned many other Islamist parties in the region, still inspires fear in Arab autocrats. For proof, look no further than the standoff over Qatar. Egypt, Saudi Arabia, the United Arab Emirates and Bahrain have cut off diplomatic and transport links with the tiny gas-rich sheikhdom, demanding that it end its support for the Brotherhood; shut down Al Jazeera, a Brotherhood-friendly broadcaster; and kick out troops from Turkey, which is led by a Brotherhood-inspired party, Justice and Development (AK). 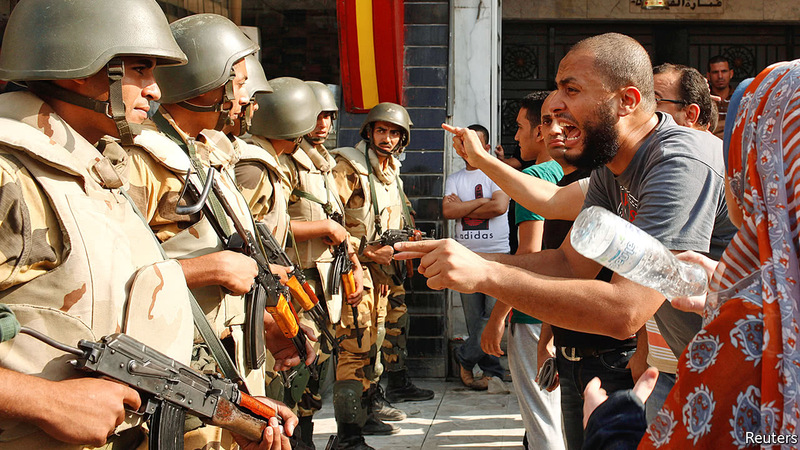 They insist that the Brotherhood is a terrorist organisation which threatens to up-end the established order. Donald Trump spirals downward. As long as he remains in the White House, we are called upon to do everything in our power to limit the damage he can do. Above all, there is the need to prevent a war of choice to disarm North Korea of its nuclear weapons. There are many reasons to exercise restraint, along with deterrence, sanctions, and diplomacy. The first may seem quaint to tough-minded analysts and members of Congress: Under international law, the only justification for a preventive war is if an adversary poses an imminent threat of attack. This particular adversary poses a threat of attack only if threatened with attack. The second relates to the track record of the tough guys. After the extended traumas of Afghanistan and Iraq, another U.S. military campaign must be nearly immaculate in execution and almost immediate in North Korea’s capitulation. Let those who predict this result after cheerleading the war in Iraq come forward and forthrightly say so. The third reason for restraint relates to the track record of a nation badly wounded after 9/11. A war with North Korea would be the third fought by the United States in just 16 years. The first two continue without end. U.S. expeditionary forces have been through Hell and back, and yet war hawks, having been temporarily foiled by successful diplomacy to strictly limit Iran’s bomb-making capacity, are setting the predicates for another war of choice. WASHINGTON: As the Japanese reacted vigorously today to North Korea’s firing of a missile over the northern island of Hokkaido, the head of the Air Force’s Air Command and Staff College argued in an article that the possession of nuclear weapons is actually helping to restrain Kim Jong-un’ s actions. LONDON, SELECT, UNITED KINGDOM, August 29, 2017 /EINPresswire.com/ -- Just last week, the John S. McCain, an American guided-missile destroyer collided with a large commercial ship in the waters off Singapore. With severe damage to its rear left side, and 10 sailors still missing, this is the second deadly collision of a Navy warship with a large commercial ship in two months. These kinds of incidents will push the Navy to further consider how it exploits open source intelligence like GPS data and satellite imagery. One might also wonder if the warship was totally autonomous we’d have avoided the human error that enabled the crash. These talking points demonstrate the importance of SMi’s Maritime Information Warfare agenda. Taking place in London on the 6th and 7th December 2017, Maritime Information Warfare’s agenda aims to help solve these topical issues with the world’s maritime information exploitation leaders, including keynote presentations from: Vice Admiral Michael Gilday, Commander, US Fleet Cyber Command, US Navy, Admiral Sir George Zambellas, Former Chief of Naval Staff, Royal Navy and Commander Neil Hall, SO1 Cyber Security, Royal Navy. Once Latinos were arrested, bad things happened to them. 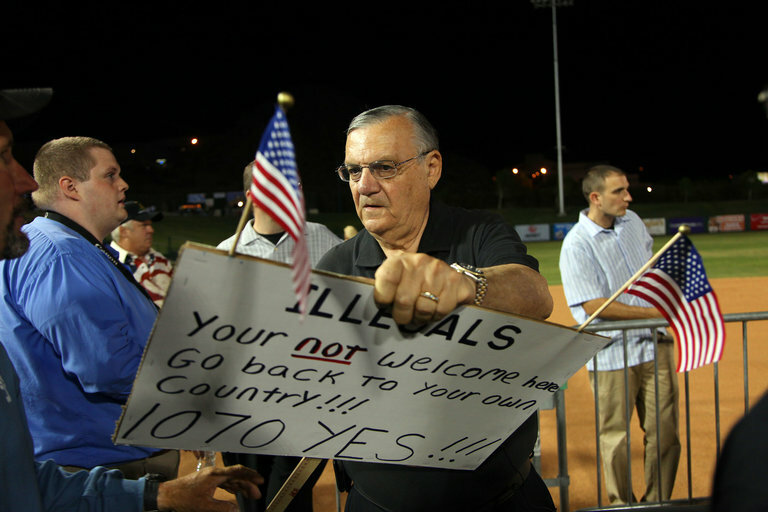 Many were sent to Tent City, which Arpaio himself proudly called a “concentration camp,” where they lived under brutal conditions, with temperatures inside the tents sometimes rising to 145 degrees. And when he received court orders to stop these practices, he simply ignored them, which led to his eventual conviction — after decades in office — for contempt of court. But he had friends in high places, indeed in the highest of places. We now know that Donald Trump tried to get the Justice Department to drop the case against Arpaio, a clear case of attempted obstruction of justice. And when that ploy failed, Trump, who had already suggested that Arpaio was “convicted for doing his job,” pardoned him. By the way, about “doing his job,” it turns out that Arpaio’s officers were too busy rounding up brown-skinned people and investigating President Barack Obama’s birth certificate to do other things, like investigate cases of sexually abused children. Priorities! An emerging analytics tool may assist military leaders in making better decisions on the battlefield by predicting the motives of adversaries. Known as abductive reasoning, the concept takes advantage of advancements in machine learning, said Rick Pavlik, director of analytics and machine intelligence at Polaris Alpha, a defense and intelligence agency contractor. “Abduction is all about having a set of observations or evidence and trying to come up with the … root cause or an explanation that would describe the observations that we’re seeing,” he said. Such technology could be beneficial for those in the military or intelligence communities, Pavlik added. In one potential scenario the United States government could be concerned if it saw a large number of Russian military units deploying out of garrison. A U.S. commander may wonder if the activity meant Moscow was planning an imminent attack. However, there are other explanations that would need to be considered, for which abductive reasoning could potentially account. What Are America's Alliances Good For? Jim King wrote an excellent article in Small Wars Journal[i] advocating 15 rules for what he asserts is a little known core competency of the US Army -- advising host nation forces. Jim laments that, despite over 50 recent years of experience in this competency, the US Army has devoted little effort to either producing doctrine or developing training and education programs to assist in the preparation of soldiers for that role. Yet, Jim does point out that the Army had done already some things to prepare Advisors prior to his 2007 assignment, and the Army continues to try to improve the manner in which it develops this important core competency[ii]. Notwithstanding Jim’s constructive criticism and acknowledging that there is always room for improvement, the Army should be justifiably proud with the manner in which it has responded to the demand and improved its ability to prepare and deploy soldiers skilled in advising foreign nations’ forces at the tactical and operational levels. For the past year, Erik Prince has been peddling an idea that should alarm anyone who has followed his career: We should replace U.S. troops in Afghanistan with mercenaries, preferably his. For those who do not know Prince, he was a founder of Blackwater International, the private military contractor that became so toxic, he had to change the company’s name. Under his management, Blackwater committed perhaps the worst war crime of the Iraq war: A squad of armed contractors killed 17 civilians at the Nisour traffic circle in Baghdad. The incident sparked a political uproar in Iraq, vastly complicated the mission of the State Department diplomats the contractors were ostensibly there to protect, and set off multiple probes into Blackwater’s conduct. A FBI inquiry later found that 14 of the 17 deaths were unjustified. For Americans, the “Nisour Incident” was a stain on their country’s moral character. 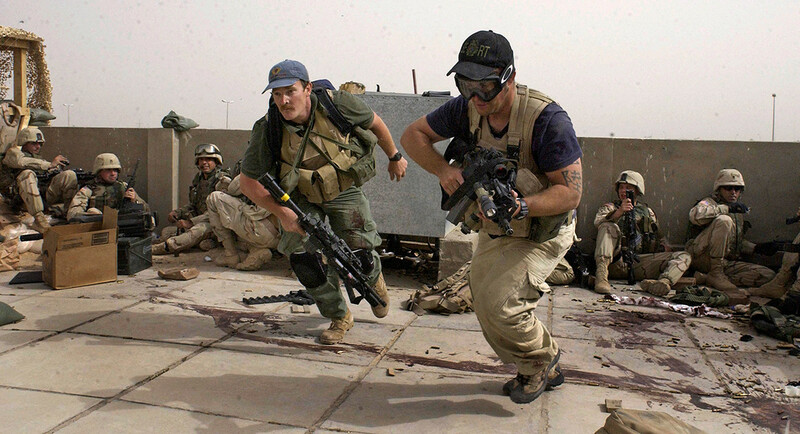 For Iraqis, Blackwater’s reckless behavior and callous disregard for Iraqi lives seemed emblematic of America’s handling of the war as a whole, and helped to hasten our exit. Now Prince wants to privatize the Afghanistan war. And Afghans thought the worst we could do was bomb them. Defence land is being plundered across the country, sometimes by armymen and sometimed by other parties. The Ministry of Defence (MoD) has recommended disbanding of the scam-ridden Directorate General of Defence Estates (DGDE) that manages 17 lakh acres of defence land worth Rs 20 lakh crore. This unprecedented suggestion from the Controller General of Defence Accounts (CGDA) is being considered by Defence Minister A.K. Antony who has ordered a clean-up of the tainted department. It comes in the wake of the Adarsh Housing Society scam where defence land was illegally transferred allegedly with the connivance of defence estates and army officials. The MoD is the owner of the country's largest land bank. Its 17 lakh acres are twice the size of a state like Goa. A first-of-its kind internal audit of the DGDE carried out by CGDA, a copy of which has been accessed by INDIA TODAY, says this land bank is being systematically looted by neglect and the absence of an electronic database. In its scathing indictment, the report holds the DGDE of managerial failure in all of its four major functions-audit, accounting and acquisition of land, and financial management. It recommends distributing its services among the user services and abolishing Defence Estate Officers or representatives of the DGDE. It suggests the department's functions be taken over by the land directorates of the service headquarters which administer defence land. The internal audit holds the DGDE-the only dedicated ministerial department for land management-guilty of misdeeds and even recommends prosecution of officials for causing loss to the exchequer and delaying implementation of court decrees. It solely blames the organisation for piling up 13,000 land dispute-related court cases which could cost the government Rs 5,000 crore to settle. Delays in implementing court orders is leading to interest payments running into several hundred crores. The audit makes 27 major suggestions, including setting up of a new centralised agency of the defence accounts department to provide the financial services and land audit to cover the defence ministry. This summer, a small team of well-respected researchers and journalists, the Open Markets team at the New America think tank (where I have been a fellow since 2014), dared to speak up about Google, in the mildest way. When the European Union fined Google for preferring its own subsidiary companies to its rival companies in search results, it was natural that Open Markets, a group dedicated to studying and exposing distortions in markets, including monopoly power, would comment. The researchers put out a 150-word statement praising the E.U.’s actions. They wrote, “By requiring that Google give equal treatment to rival services instead of privileging its own, [the E.U.] is protecting the free flow of information and commerce upon which all democracies depend.” They called upon the Federal Trade Commission and Department of Justice and state attorneys general to apply the traditional American monopoly law, which would require separate ownership of products and services and the networks that sell products and services. Does Net Neutrality Spur Internet Innovation? The 2015 Federal Communications Commission (FCC) declared that its Open Internet Order was necessary to support innovation, but it never conducted an empirical assessment or reviewed the experience of other countries with net neutrality rules. It is in the public interest that the FCC examine this policy empirically, as it directly affects consumers and innovators. Evidence from some 50 countries with net neutrality rules made over the past decade suggests that the FCC’s approach will not create more innovation at the edge of the network, at least as measured by new mobile applications. Denmark and the Netherlands, two similar socioeconomic countries with multiple advanced mobile networks, employed two different regimes for net neutrality over five years. During this period, Denmark, which employed voluntary self-regulation, experienced an increase in the number, rank, and performance of locally made mobile applications, whereas the Netherlands, which legislated the world’s toughest rules, experienced a decline for the same indicators. Results were statistically significant. Click here to download the full study as a PDF. Technologies are being interconnected and integrated onto the nation’s electric grid to decrease weaknesses. However, these physical and computerized elements multiply the number of access points for cyber risks, making protection of the grid challenging. If done correctly, sharing cyber threat information eliminates the chances for one cyber threat or attack to affect multiple stakeholders. In theory, one entity identifies a cyber threat or attack and shares the collected information with public and private sector partners. The intelligence is then applied to protect these partners’ networks. The intent is for data and systems to become more secure and less prone to cyberattacks when intelligence and resources are shared among many stakeholders. Without data sharing, it is almost impossible to detect, defend and contain systemic attacks early. While sharing cyber threat data sounds easy, it is complicated by legal, operational and privacy issues. The private sector believes the government is good at collecting threat intelligence, but is hesitant to embrace it as an equal partner. Furthermore, the private sector fears it may be exposed to lawsuits for disclosing sensitive personal or business information. Released threat data could harm a company’s reputation and even cause its stock price to drop. The data could also be used for regulatory actions or for law-enforcement and intelligence collection activities. Hence, the private sector is reluctant to share threat data without an incentive.